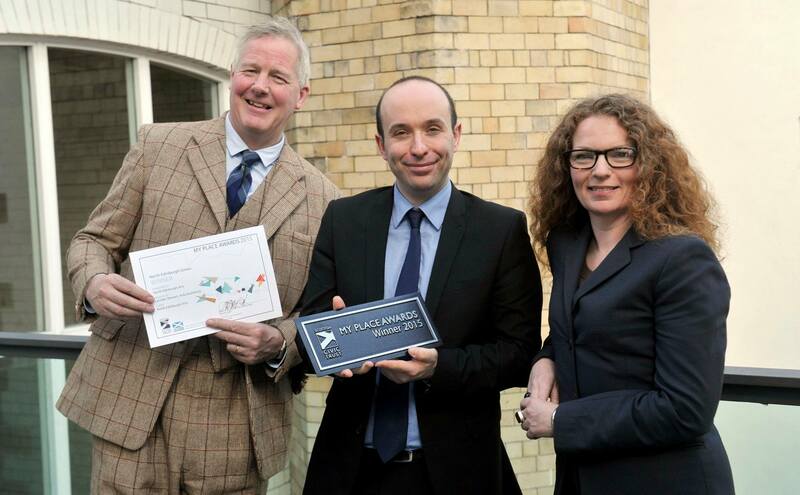 North Edinburgh Grows won another award at the end of last month – the Scottish Civic Trust My Place Awards 2015. The award is recognises a building, landscape or public realm project that has had a positive impact in a local neighbourhood and has delivered tangible benefits to that community. Here’s a picture of Lachlan Stewart, Anta Architects (responsible for the garden design), and Kate Wimpress, Director of North Edinburgh Arts, being presented with their certificate by Marco Biagi, MSP Minister for Local Government and Community Empowerment.